Hallmark for Sci-Fi movies! And it isn't just a action-effect movie, there's actually a well told story in there aswel. I saw it the other day, 12 years after its initial release, and it's still good. There might be a few of the effects that does not hold up today, but that is easily forgotten among the other great scenes. I think the cast is close to perfect. 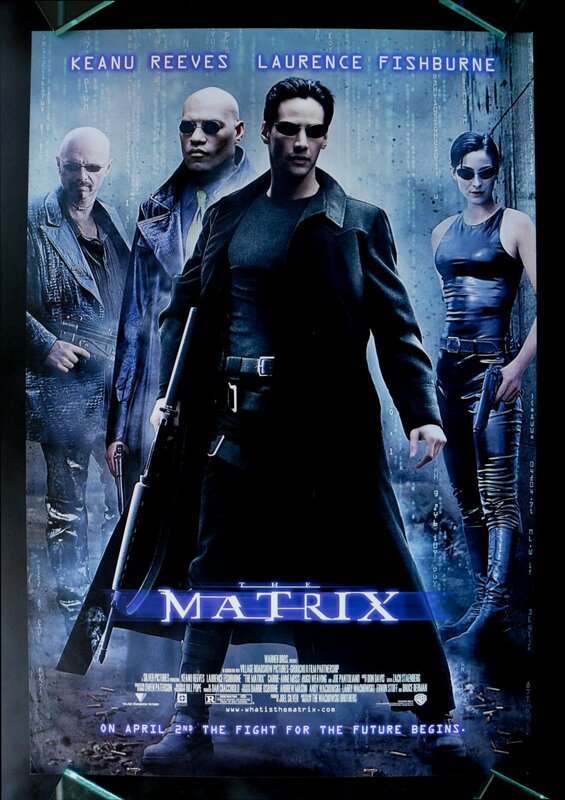 Keanu Reeves, Laurence Fishburne, Carrie-Anne Moss and Hugo Weaving take on a nice cooperation as main actors and actress. If you haven't seen it, you should definitely put it on your todo-list! Great movie! It is very epic for it's time, and quite a lot of movies have borrowed special effects and parts of plots from the enormous amount of impressive details. Every time you see the movie, you notice new things, you haven't seen before. The perspective on life is very interesting and despite the rather complex plot, the story is so well told that you never loose track. The casting is also very good - the parts forNeo, Morpheus, Trinity and Agent Smith really hits the spot.This kind of role is what Keanu Reeves does best. All in all a great movie, where your first reaction after seeing it is pushing play again.